Uluru-Kata Tjuta National Park is known for nature, museums, outdoors, trails, and classes. Your plan includes some of its best attractions: explore the striking landscape at Uluru, take in the awesome beauty at Kata Tjuta, take in the pleasant sights at Field of Light, and appreciate the views at Valley of the Winds. For reviews, maps, and tourist information, read our Uluru-Kata Tjuta National Park online trip itinerary planner . 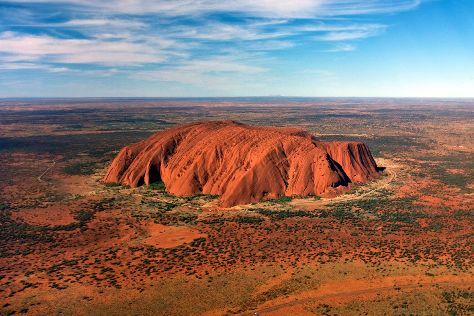 Melbourne to Uluru-Kata Tjuta National Park is an approximately 5-hour flight. You can also drive. Expect a bit warmer temperatures when traveling from Melbourne in December; daily highs in Uluru-Kata Tjuta National Park reach 42°C and lows reach 24°C. Finish up your sightseeing early on the 30th (Sun) so you can travel to Alice Springs. Bring the kids along to Walking tours and Alice Springs Desert Park. 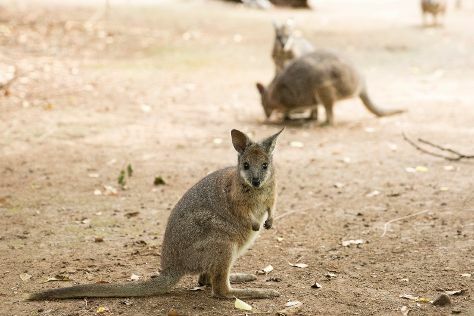 There's still lots to do: look for all kinds of wild species at The Kangaroo Sanctuary, view the masterpieces at Talapi, steep yourself in history at Alice Springs Telegraph Station Historical Reserve, and take some stellar pictures from Anzac Hill. For more things to do, other places to visit, and more tourist information, you can read our Alice Springs trip planning website . Getting from Uluru-Kata Tjuta National Park to Alice Springs by combination of flight and taxi takes about 2 hours. Other options: drive. In December in Alice Springs, expect temperatures between 41°C during the day and 24°C at night. Wrap up your sightseeing on the 2nd (Wed) to allow time to drive to Coober Pedy. Start off your visit on the 3rd (Thu): take an in-depth tour of Old Timers Mine, then pause for some serene contemplation at Serbian Orthodox Church, then admire all the interesting features of Tom's Working Opal Mine, and finally explore the fascinating landscape at Breakaways Conservation Park. On your second day here, see the interesting displays at Umoona Opal Mine & Museum, look for all kinds of wild species at Josephine's Gallery & Kangaroo Orphanage, then admire the landmark architecture of Faye's Underground Home, and finally pause for some serene contemplation at Catacomb Church. For photos, more things to do, other places to visit, and more tourist information, read our Coober Pedy sightseeing planning website . Drive from Alice Springs to Coober Pedy in 7 hours. Alternatively, you can take a bus; or fly. In January, daytime highs in Coober Pedy are 41°C, while nighttime lows are 26°C. Finish up your sightseeing early on the 4th (Fri) so you can travel to Adelaide. You'll visit kid-friendly attractions like Adelaide Zoo and Horseshoe Bay. Explore the numerous day-trip ideas around Adelaide: Aldinga Beach (in Aldinga Beach), Monarto Zoo (in Monarto) and Hallett Cove Conservation Park (in Hallett Cove). Dedicate the 7th (Mon) to wine at some of the top wineries in the area. And it doesn't end there: identify plant and animal life at Cleland Wildlife Park, contemplate the long history of Adelaide Oval, explore the world behind art at Art Gallery of South Australia, and wander the streets of Rundle Mall. To find photos, more things to do, reviews, and more tourist information, read our Adelaide online travel route planner . Traveling by flight from Coober Pedy to Adelaide takes 4 hours. Alternatively, you can drive; or take a bus. In January, Adelaide is little chillier than Coober Pedy - with highs of 34°C and lows of 19°C. Wrap up your sightseeing on the 11th (Fri) early enough to travel to Horsham. Horsham is a regional city in the Wimmera region of western Victoria, Australia. Kick off your visit on the 12th (Sat): make a trip to Boroka Lookout, then hike along The Pinnacle, then admire the masterpieces at Horsham Regional Art Gallery, and finally take in the views from Anzac Centenary Bridge. Get ready for a full day of sightseeing on the 13th (Sun): tee off at Grampians Adventure Golf, tour the pleasant surroundings at Halls Gap Zoo, and then take in the dramatic scenery at Clematis Falls. To find more things to do, ratings, traveler tips, and more tourist information, read our Horsham trip maker website . You can drive from Adelaide to Horsham in 5 hours. Another option is to fly. Cap off your sightseeing on the 13th (Sun) early enough to travel back home.